A controversial rental ordinance in New Britain, Connecticut was voluntarily repealed by the city’s lawmakers. The law was part of a more comprehensive “blight” plan to deal with deteriorating neighborhoods. 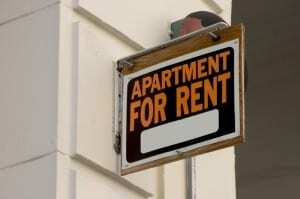 The law required “absentee” landlords to pay licensing fees per unit, not to exceed $12,000. The measure had been approved despite vocal protests from landlords, who made good on a vow to sue the city should the licensing fee scheme become law. After the suit was filed, residents elected a new mayor, who promised to repeal the fees as part of her campaign platform. The repeal effectively ends the lawsuit. But some landlords say they are not stopping there. The CT Property Owners Alliance Inc., is conducting an investigation into the $100,000 charge the former mayor paid to a consulting firm hired after the landlord bill was passed. Rental property owners say the firm performed public relations services for the mayor related to the blight plan, and that the fees charged taxpayers were inappropriate. They have requested further disclosure of the use of the funds, and are threatening to turn over information pointing to any irregularities to the FBI. American Apartment Owners Association offers discounts on products and services for all your property management needs. Find out more at www.joinaaoa.org.